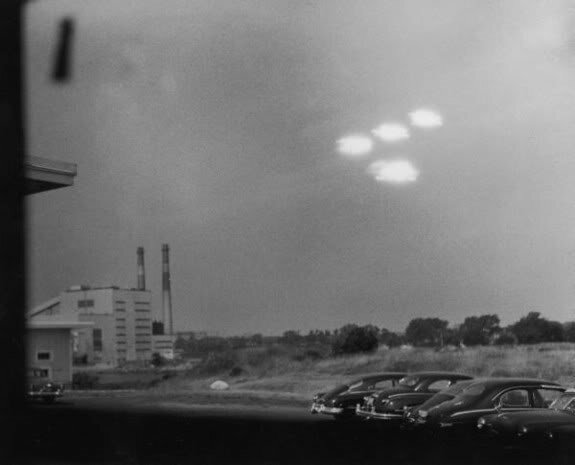 Summer:Fall 2014 -- PICTURES OF THE WEEK: From 1952, photographs and depictions of unidentified aerial phenomenon. 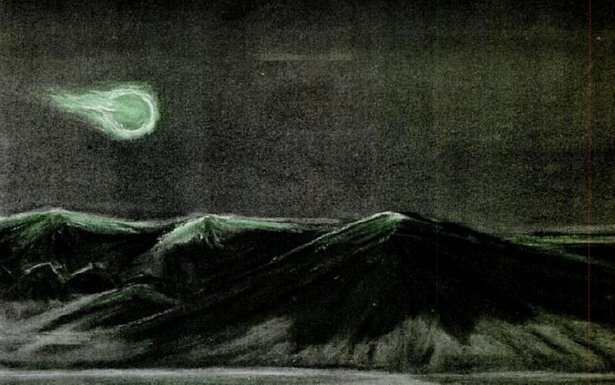 Top: Painting by Mrs. Lincoln LaPaz of a mysterious "green fireball". 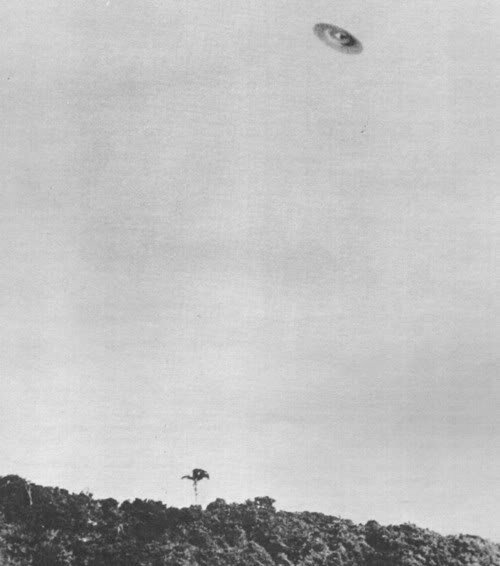 Second: One of five pictures claimed taken in Brazil. 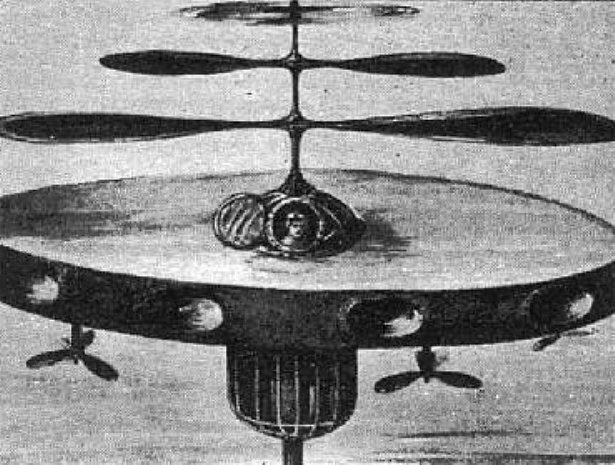 Third: Four photos of a claimed flying disc taken in France. 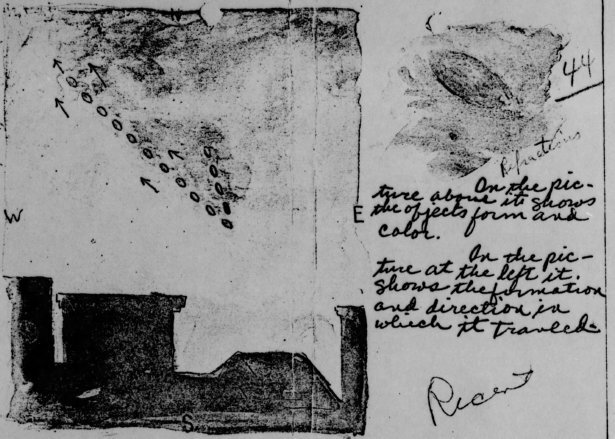 Fourth: Water color submitted to the New York Post by 16-year old Rita Acuna of a July 25, 1952 sighting from Bronx, New York. 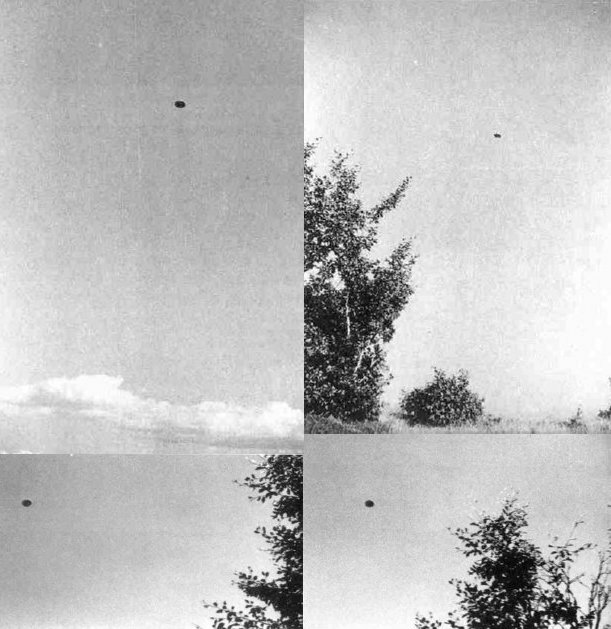 Fifth: Air Force gun camera film frames of object over Bellefontaine, Ohio. 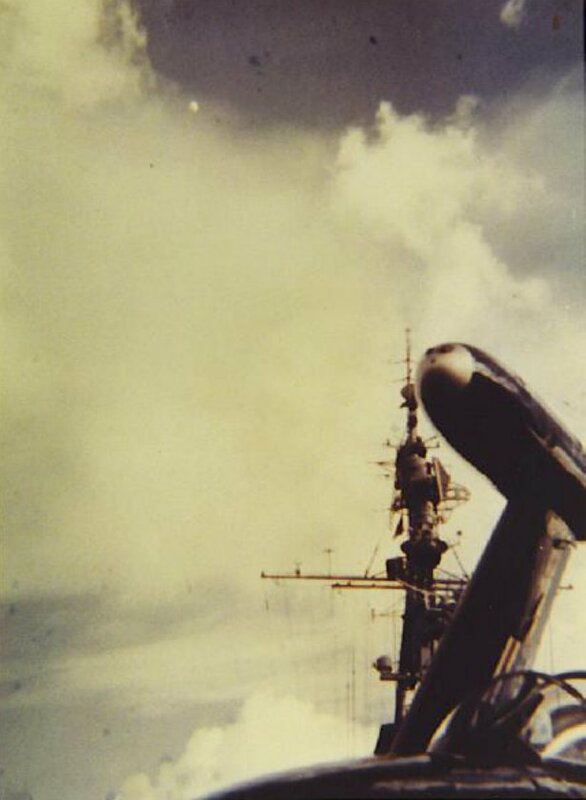 Sixth: Life Magazine reproduction of photo taken by Coast Guardsman Shell Alpert. 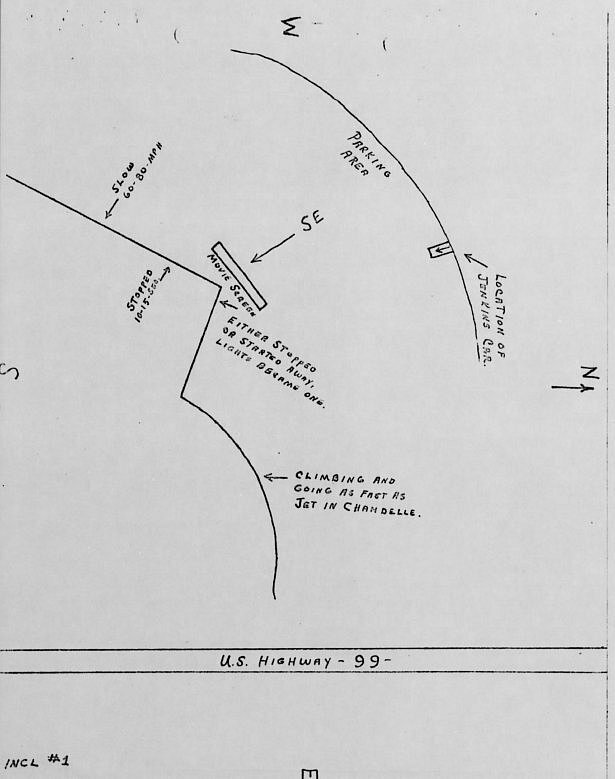 Seventh: From the files of Project Blue Book, sketch of the path of an object reported by dozens of witnesses at a Bakersfield, California drive-in movie theater. 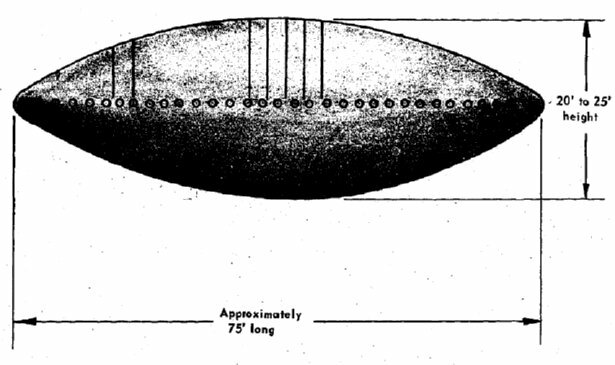 Eighth: From the files of Project Blue Book, sketch of an object reported by William Squyres. 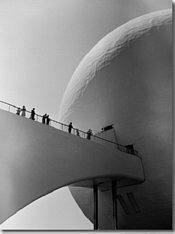 Ninth: One of three photos taken by Metropolitan Group news photographer Wallace Litwin on September 20, 1952 while aboard the USS Roosevelt during Operation Mainbrace. 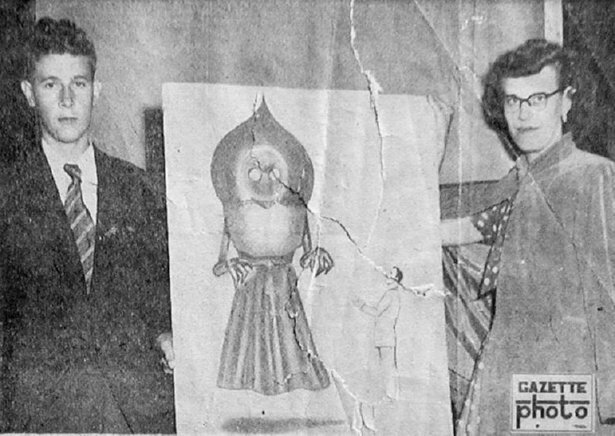 Tenth: Eugene Lemon and Kathleen May after appearing on television show to tell of their claimed encounter in Sutton, West Virginia. Eleventh: Sketch of an object and occupant claimed sighted in Italy. 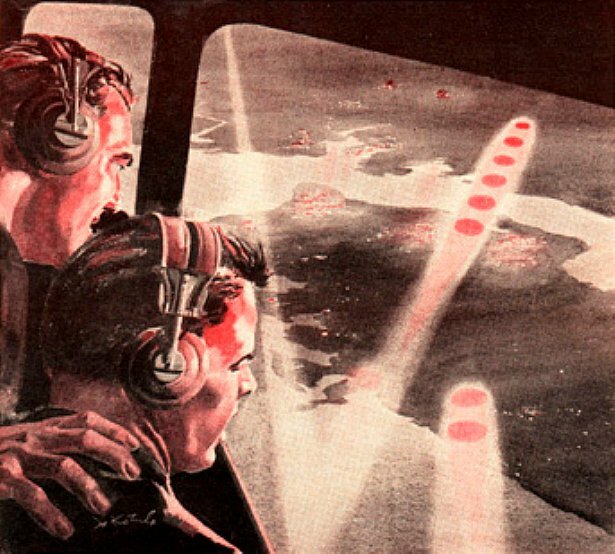 Eleventh: Illustration for True Magazine article authored by Pan American World Airways pilots William Nash and William Fortenberry telling of their 1952 encounter.